Again it becomes the sad duty of the writer to record the death of a friend and citizen of our community. Mr. A. E. Boeer, son of Mr. and Mrs. Chas. Boeer of this vicinity. died Wednesday morning at 11 o'clock at the residence of Mr. Gus Hehr, after a brief illness. Mr. Boeer moved from his country home recently to accept a position in the mercantile establishment of George Herder in this city. While here his health seemed excellent, until a few days ago, when he suddenly was taken sick, grew worse rapidly, and despite the combined efforts of physicians and friends, succumbed to ravages of the dreaded typhoid fever. His remains were laid to rest in the Masonic cemetery Thursday afternoon Rev. T. E. Muse performing the burial service. Mr. Boeer was about 25 years of age, a member of one of our best families, an energetic, upright and pleasant young gentleman, the possessor of a large circle of friends, and one whose death, just on the threshold of vigorous manhood, is deeply and sincerely regretted. To the bereaved family the heartfelt sympathy, of the MERCURY is extended. Funeral services for Albert R. Boeer, 90, of Weimar were held Oct 24 2001 at St Michael's Catholic Church with burial in the church cemetery. Rev. John Biley and Rev. Charles Carolan officiated. Boeer died Oct 21 in Dallas. Born Mar 24 1911 in Weimar he was the son of Wm G and Sophie Brunkenhoefer Boeer. He married Leona Kloesel on Oct 16 1935 in Weimar. He was a member of St. Joseph's Society, RVOS, Farmer's Co-op, and SW Dairy Association. He was the first dairy farmer in the Sedan area and active in church and community affairs. He was known for using innovative soil conservation techniques. He always worked side by side with his wife of 65 years. She preceded him in death May 21 2001. Survivors include children, Arlene Poss of Atlanta, GA, Jerry Willard of Mobile, AL and Lori Kevroski and husband Jerry of Dallas; brothers, sisters and sister-in-law, Lillie Beard, Werner Boeer, Sr. and wife Jerry, Frieda Grohmann, and Mary Boeer, all of Weimar; five grandchildren; and five great-grandchildren. He was preceded in death by his wife, Leona; three brothers; one sister; and one grandson, Greg Willard. The people of our community were inexpressibly shocked last Thursday to learn of the death of that estimable lady. Mrs. Chas. Boeer, Sr., which occurred that morning at the residence of her daughter, Mrs. Gus Hehr, with whom she had lived since the death of her husband a few years ago. Mrs. Boeer, although enfeebled from age, was in apparent good health, and was down town the previous morning shopping. The writer of these Iines saw and talked with her Wednesday morning, and while inwardly commenting upon her enfeebled condition, little realized that death was to come to her so quickly. She ate breakfast Thursday morning with the family, then went to her room, and awhile afterward was found sitting in her rocker. calm and pieceful[sic] in death. Evidently there had been no struggle, and death came quietly and painlessly to this grand old character. The funeral took place Friday afternoon at the Masonic cemetery, the body being placed beside that of her late lamented husband, Rev. Paul Piepenbrok reformed the touching burial :service. Mrs. Boeer, with her lately deceased husband, was among the pioneer residents of this section. She was known and esteemed by all for her many endearing traits of character, She even proved the: kindest and best of neighbors, the truest of friends, the best of wives and mothers, and ever was thoughtful of those about her. The last act witnessed by this writer was Mrs. Boeer purchasing some fruit to take to. some loved one, and she never visited town without manifesting. some such desire. Her death is deeply and sincerely deplored by all, for truly she was a grand, lovable. character, one whose equal is seldom met with. She leaves three daughters and four sons, as follows: Mrs. Chas. Wendt of the Shiner section, Mrs. Gus Hehr and Mrs. Chas. Steck[sic], Chas. Boeer, Jr., of the Floresville section, Henry Boeer of the Nordhein[sic] section, Rudolf' and Will Boeer of this vicinity. Our sincere and heartfelt sympathy goes out to the bereaved children. In the death of Carl S. Boeer. which occurred Monday morning at 7 o'clock at the home of his son-in-law, Gus Hehr, after a prolonged illness, our city lost a valued and much respected citizen, one who was known and beloved by all, and who, if he possessed an enemy in the world the fact was not known. “Uncle Charlie" Boeer was one of the best men the writer ever knew. Quite and unostentatious in his life, ever ready to help those who needed help, a cheery word of greeting for everyone, honest and straightforward in all his I dealings with his fellowman, the best of friends and neighbors, his death is indeed a severe blow to family, friends and the community. Ill health caused his retirement from the active pursuit of farming some years ago, since which time he has made his home in this city. While his death was not unexpected, nevertheless it proved a severe blow to all. The funeral took place at the Masonic cemetery Tuesday morning at 9 o’clock, Rev. F. Piepenbrok conducting the funeral services. Mr. Boeer was born in Logenbielau, Schlesien, Germany, Nov. 5, 1834; came to Texas in 1850; ten years of the earlier part of his life were spent in Fayette county, since which time he has resided in Colorado county. He was married in 1865 to Miss Auguste Lehrich, and of this union ten children were born---five boys and five girls. One son and two daughters are dead. The living children are Mrs. Gus Hehr, Mrs. Carl Wendt of Shiner, Mrs. Chas. Stech of Houston, Chas. Boeer of Floresville, Henry Boeer of Nordheim, Rudolph and Will Boeer of this section, He was an ex-Confederate veteran, having fought from the beginning of the war to the close, rendering valiant service to the country of his adoption. He also did much freighting between Texas and Mexico during the early days his life. The procession at his funeral Tuesday was one of the longest ever seen in this section, proving the universal popularity of this grand, good man. Our heartfelt sympathy goes out to the bereaved family in their affliction. The many friends of Mr. Ernst Boeer, one of our oldest and most respected farmers, were inexpressibly shocked Wednesday noon to learn of his sudden and unexpected death, of some form of heart trouble. Mr. B. was in town the day before, apparently well and hearty for one of his age--81 years. He was taken ill very suddely and died within a half hour. The funeral will take place at the Odd Fellows’ cemetery this (Thursday) afternoon. A more extended notice of t his worthy gentleman’s death will appear in our next issue. Another Old Land Mark Gone to Rest. Ernst Boeer, one of the most prominent citizens of Colorado County, died of Angina-Pectoris, at his home near Weimar, Wednesday, June the 8th, 1910, in his 82nd year. The venerable o!d gentleman leaves an aged widow, three sons and a daughter, besides an aged brother, Uncle Charlie Boeer of Weimar and many loving relatives to mourn his loss. Mr. Boeer has lived in Colorado County over 45 years and resided in Fayette County fully ten years before moving to his home near this city. There were 3 brothers, very young men, who came from the old country many years ago and their names were Ernst William and Charles Boeer, they settled near what is now known as Rutersville, Fayette County, and were here in the early days when it was somewhat dangerous to live in that section on account of prowling Indians and desperadoes. They were nervy young men and were engaged in the freighting business and hauled freight by ox teams from Houston to LaGrange and other points in that vicinity. Two of them have now passed over the great divide, Ernest and William. In a conversation with Mr. Ernest Boeer, several months ago, the question of cold weather came up and he recited a time and experience he bad while freighting. On the occasion spoken of, which was in the winter, he said that after coming out of Houston, with a party consisting of himself and four others, driving three ox wagons each one having ten yoke of steers and after getting in the edge of the timber in the Brazos bottom, a severe norther blew up which increased in velocity until they were obliged to call a halt and camp. The night was intensely cold and they were compelled to build heavy tires all through the night to keep from freezing and there was no sleep that night. As soon as daylight appeared they found that their oxen were no where to be found, getting upon their ponies, which all freighters in those days took along, hunted for their oxen, at about mid-day that day they saw three wagons in the woods, near a public road, no animals or persons were in sight, so they rode up and found that the oxen belonging to the wagons had also drifted, upon a further investigation they found three men huddled together under one of the wagons and all frozen to death. It was ascertained afterwards that they had no matches to start a fire and had no way of warming themselves and had frozen to death. Late that same day Mr. Boeer and party found their teams and in due course of time arrived safely at home. The deceased was one of the best known men in this section and was the soul of honor, his word being his bond and was ever ready to aid any enterprise that was of interest to the community in which he lived, was of a jolly disposition and he will be sadly missed by not only his many relatives but by a host of friends in this section and elsewhere. The remains were laid to rest in the family plat in the Odd Fellows Cemetery of this city, Thursday afternoon, June 9th. The funeral procession being a very large one. The ceremony at the grave was performed by Rev. F. Piepenbrok, pastor of the Lutheran church of Weimar, of which the deceased was a consistent member. The reverend gentleman paid a glowing tribute on the life of the remains before him and showed in most forcible language that if one would lead a life as the deceased had lived it was an easy matter to die. The. Mercury mingles its sorrow with that of the devoted and affectionate aged wife, sons and daughter over the loss of such a true, good and noble man. Rest in Peace. Funeral services for Ernest August Boeer, 91, lifelong resident of the rural area southeast of Weimar, were set for 3 o'clock this Thursday afternoon at Hubbard Funeral Home with interment in the Masonic Cemetery. Rev. Wm. Anderson pastor of St. Paul's United Church of Christ, Schulenburg will officiate. Mr. Boeer died Tuesday in Weimar Hospital after a short illness. He and his brother, Paul, both bachelors, lived together on the farm where they were born. Mr. Boeer was born October 16, 1866, son of Ernest and Louise Boeer , and was baptized in the Lutheran Church at Oakland. Surviving in addition to the brother here are seven nephews and 5 nieces. A sister, Mrs. Louise Schulz preceded him in death. 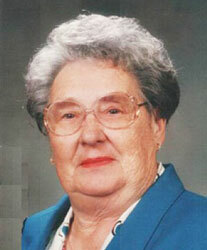 Juerline Marie Swoboda Boeer, 86, of Weimar passed away January 29, 2011 at Regency Nursing Center in Schulenburg, Texas. She was born to Joe and Ada (Westphal) Swoboda on February 20, 1924 in Rosebud, Texas. She grew up and attended school in Frelsburg, Texas. After formal schooling she moved to Columbus, Texas to work in the Santa Anna Café where she met the love of her life, Werner “Chuddie” Boeer, Sr. When Werner was drafted into the service in 1942, she stayed with his parents and worked at Elkins Department Store. On January 22, 1946 Werner and Juerline were married in Frelsburg, Texas. In 1954, they began dairy farming on the Boeer homestead and continued dairying until 1972 when they went into the Limousin beef cattle business. Jerry was a loving homemaker and loved fishing and hunting in South Texas with her family. She was a member of the United Church of Christ, the women’s church guild, and the VFW Auxiliary. She was preceded in death by her parents, Joseph and Ada Swoboda, and her husband of 62 years, Werner Boeer, Sr.
She is survived by a sister, Patty Bartlett of Conroe, Texas, sons Werner Boeer, Jr. and wife Nancy of Katy, Texas and Gary Wayne Boeer of Weimar, Texas. She is also survived by her grandchildren, Brent Boeer of Katy, Texas, Courtney Reeve and husband Charlie of Kyle, Texas, Casey Clark and husband Dustin of Katy, Texas and Christopher Boeer of Weimar, Texas. She has one great grandson, Ryder Reeve of Kyle, Texas. The funeral services were held at Weimar United Church of Christ in Weimar, Texas on January 31st at 2 p.m. with the Rev. Dr. Jerry Carpenter officiating under the direction of Henneke Funeral Home in Columbus, Texas. Interment followed at Weimar Masonic Cemetery. Pallbearers were Billy Boeer, Rory Koehn, Alan Koehn, Wilton Leppin, Kenneth Rabel, and Ford Beken. DEATH OF OLD TIME CITIZEN. Mrs. Louisa Boeer, Widow of Ernst Boeer, Passes Unto Her Reward. Mrs. Louisa Boeer, widow of the late Ernst Boeer, died at the family home a short distance southeast of town, Tuesday evening, at the advanced age of 89 years. The funeral took place at the Odd Fellows' Cemetery Wednesday afternoon at 3 o'clock. Rev. Paul Piepenbrok, Lutheran minister, officiating, A large number of sympathizing relatives and friend witnessed the last sad rites. 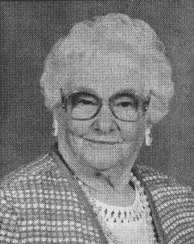 Mrs. Boeer was a most estimable lady--kind hearted, of cheerful disposition, always friendly to everybody, and the best of wives and mothers, neighbors and friends. She, truly, was Ioved by all who knew her. She was born in the old country, but had lived near Weimar for a very long time, Sometime since she sustained a fall, breaking her hip, since which time her decline in health was rapid. She leaves several children, all grown, besides many relatives and friends, to whom our heartfelt sympathy is extended. Mary Louise Boeer, 85, of Weimar died on Feb. 19 at Brackenridge Hospital in Austin. She was born on Aug. 15, 1922, in Schulenburg to Raymond and Sophie (Kneitz) Watzlavick. She graduated from Schulenburg High School. On Jan. 10, 1944, she married Hilbert E. Boeer in Schulenburg. She was a lifelong housewife and devoted mother, grandmother, great-grandmother and aunt. She enjoyed working in her yard and flower beds and loved playing straight and 42 dominoes with her husband and brother and sister-in-law. She was a member of the KJZT, St. Michael Catholic Church in Weimar and St. Pius V Catholic Church in Pasadena, where she lived for 30 years. A funeral service was held on Feb. 22 at St. Michael Church with Father John Buy officiating. Pallbearers included Matthew Irick; Ron L. Stevens; Kenny Schramek; Shawn Farmer, Werner Boeer, Jr. and Brent Boeer. She is survived by two daughters, Mary Jo Stevens of Weimar and Carol Farmer and husband Willie of Bellville; one son, William Boeer and wife Kathy of Brenham; one brother, Joseph Watzlavick of Bellaire; five grandchildren, Shawn and Brandi Farmer, Ron Stevens and Matthew and Marla Boeer and three great-grandchildren, Alex, Haley and Jake Farmer. She was preceded in death by her husband on June 29, 1994; two brothers, August and Raymond Watzlavick and one daughter, Theresa Boeer. Memorial contributions may be made to the American Cancer Society, St. Michael Church or to a charity of one's choice. Funeral services for Paul Boeer, 89, were held at Hubbard Funeral Home here Wednesday afternoon, with the Rev. Charles Bawel, pastor of Weimar United Church of Christ, officiating. Mr. Boeer, a retired farmer and almost lifelong resident of the Weimar area, died at 7 p.m. Monday in Fayette Memorial Hospital, La Grange. He had been in ill health several years. Born June 8, 1871, a short distance southeast of Weimar, he was the son of Ernest and Louisa Gerstenberger Boeer. He never married, and he and his brother, Ernest, also unmarried, continued living on the homestead farm until the latter’s[sic] death in 1958 at the age of 91. After that Paul went to live with a nephew and niece, Mr. and Mrs. Paul C. Boeer, on Route 1, La Grange, A sister Mrs. Louise Schulze, preceded them in death. Surviving are five nieces, Mrs. Frieda Wilkin, Mrs. Hulda Ramthum and Mrs. Frieda Nitsche of La Grange, Mrs. Louise Boening of New Braunfels and Mrs. Ernestine Naumann of San Antonio; and six nephews, Paul C. Boeer of La Grange; August, Schulze, Ernest Schulze, Henry Schulze and Edwin Schulze of San Antonio, and William Schulze of New Braunfels. Rudolph Boeer, 80-year-old retired carpenter and former resident of this area, was buried Sunday afternoon in Masonic Cemetery after services at Hubbard Funeral Home led by Rev. Sager, Lutheran minister of Austin. Mr. Boeer, who had moved from here to San Antonio about 30 years ago, had lived in Austin the past several years. He died in a nursing home there Feb. 14 after about four months’ illness. Born June 3, 1878, at New Bielau, he was a son of Mr. and Mrs. Charles Boeer, who were among he earliest settlers of that area. He was a member of the Luheran Church and Sons of Herman lodge. Survivors include two daughters, Mrs. Henry (Alice) Nitschmann of Austin and Mrs. Fred (Erna) Broksch of San Antonio; one granddaughter; two brothers, Wm. Boeer of Weimar and Henry Boeer of San Antonio; and one sister, Mrs. Chas. Stech of Weimar. Three sisters and two brothers preceded him in death. Pallbearers for his funeral were Albert Boeer, Hilbert Boeer, Walter Boeer, Werner Boeer, Erwin Boeer, H. Ed. Rabel, Otho Reed and Lonnie Beard. Just as we go to press we learn of the death of Willie Boeer, Jr., 6-year-old son of Mr. and Mrs. Wm. Boeer, who live a short distance south of town. The funeral will take place from the family residence at 10 o’clock tomorrow (Friday) morning, with interment in the Weimar Masonic Cemetery. Our heartfelt smpathy goes out to the bereaved parents. Funeral services for William G. Boeer, 90, who died Sunday, Jan 12, in Youens Hospital, were held Tuesday afternoon at Weimar United Church of Christ, with his pastor, Rev. George E. Fuchs, officiating. A lifelong resident of this area, he had retired from farming in 1942, and he and his wife bought a home in town. During World War II years he operated the Weimar Swimming Pool, and later he and his wife operated a laundry at their home for awhile. Born July 18, 1872, at New Bielau, he was a son of Karl and Augusta Boeer. He married Miss Sophie Brunkenhoefer at her home in Content, and they farmed in the New Bielau-Content section until moving to Weimar. His wife survives along with one daughter, Mrs. Lillie Beard of San Antonio; four sons, Albert and Werner of Weimar, Hilbert of Pasadena and Walter of Houston; nine grandchildren; and a brother, Henry Boeer of San Antonio. Pallbearers were Henry Nitschmann, Richard Muehr, Adam Brunkenhoefer, Mason Brunkenhoefer, Herbert Wendt and Erwin Boeer.